Andrew Schwartzberg along with Andrew Rotstein co-lead the RS Wealth Management Team. With an analytical nature as well as strong interpersonal skills, Andrew is actively involved in our team’s tax-efficient portfolio construction, strategy development and active due diligence regarding our stock selection and money manager outsourcing. He also oversees our options strategies and portfolio protection enhancements. As a Life Insurance Advisor with TD Wealth Insurance Services, Andrew provides the tax-effective estate planning Strategies and income protection strategies that have proven to be valuable to clients financial and estate planning. He takes an active role in collaborating with TD specialists to ensure that affluent clients have a complete wealth plan that incorporates tax, retirement and estate planning, a Will review, business succession planning if needed, charitable giving strategies, and more. 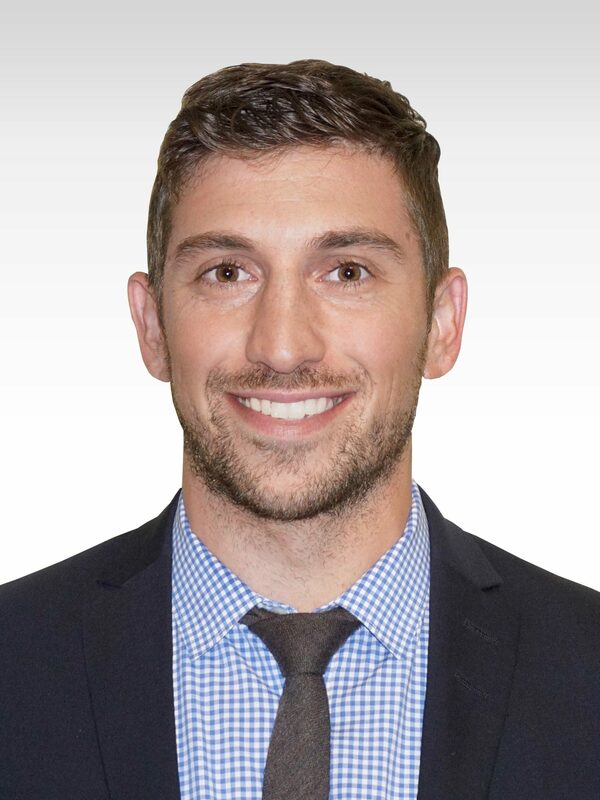 Andrew joined our team in 2008 while completing his degree at The Schulich School of Business. His commitment to personalized service helped him win the TD Wealth Star Award1 in 2013 among other industry accolades. When he is not crunching numbers in the office, Andrew loves to explore new restaurants with his wife, Julia while avidly watching his Toronto Maple Leafs and trying to fit in a round of golf. 1The TD Star Award honours employees who have delivered exceptional results and demonstrated Star qualities – Service, Teamwork, Achievement and Results throughout the year. In addition, recipients have met challenging criteria by proactively driving improvements to productivity and efficiency, contributing to the business and developing and implementing key business strategies. Jean Paul, known as JP, leverages his personable nature and financial background to fulfil his role as our team’s chief relationship manager. He communicates informative materials to our clients to help keep them up-to-date on market and industry trends and to help them understand our services and capabilities. JP assists clients with their Tax Free Savings Accounts, reviews and rebalances portfolios for Andrew and AJ, helps to ensure our clients’ cash is hard at work, makes client service recommendations to Andrew and AJ, prepares for meetings, and provides administrative support as needed. He plays an important role in helping to ensure that our trades are executed efficiently and precisely. Finance and joined TD in 2013. He worked at TD Canada Trust for several years, assisting clients with investment plans, investment management, mortgage advice, and more. During this time, he was one of the top Financial Advisors in Canada at channelling business to specialists across TD Bank Group and has also won the TD Star2 Award. JP is currently working towards earning his options license. After work, JP enjoys time spent with family and friends, exploring the Toronto culinary scene and supporting local sports teams. The TD Star Award honours employees who have delivered exceptional results and demonstrated Star qualities – Service, Teamwork, Achievement and Results throughout the year. In addition, recipients have met challenging criteria by proactively driving improvements to productivity and efficiency, contributing to the business and developing and implementing key business strategies. Our team’s newest member, Jane has worked in financial services since 2003. She holds a Bachelor of Arts from University of Toronto and has completed the Canadian Securities Course (CSC), Personal Financial Planning (PFP®), Conduct and Practices Handbook (CPH) and Branch Compliance Officer Courses (BMC) with the Canadian Securities Institute. She has also completed the Labour Sponsored Investment Funds Course (LSIFs) from the Investment Funds Institute of Canada (IFSE). Prior to joining our team, Jane was a Senior Account Manager at the Royal Bank of Canada and a Financial Advisor, Small Business Advisor, Assistant Branch Manager, and Branch Compliance Office at TD Canada Trust. She leverages this vast experience to help manage our administrative hub: opening accounts, organizing hedge fund documents, making transfers and efficiently taking care of our paperwork. Jane loves the challenge of getting to know our diverse clients and to help address their different requests. Outside of work, Jane spends time with her husband and young toddler. She enjoys movies, studying at the Royal Conservatory of Music.